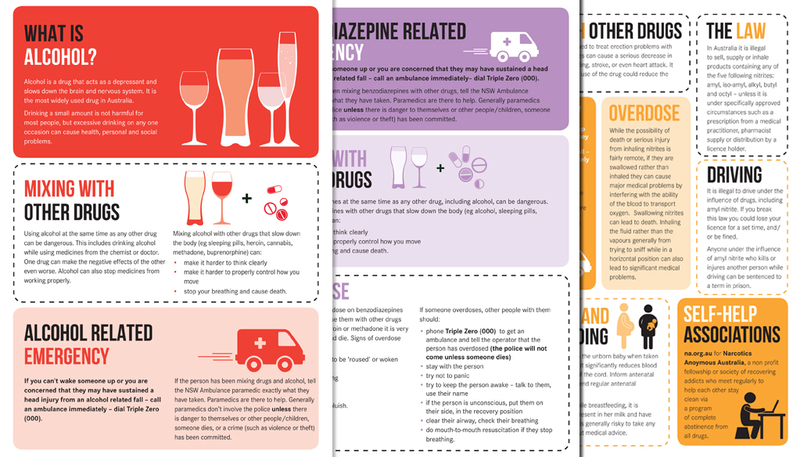 NSW Health had previously produced this suite of 14 fact sheets on drug and alcohol use, but they were out of date and needed refreshing both visually and from a content perspective. Having worked with HMD before, NSW Health provided new content whilst we created new graphics and illustrations to lighten the style of the fact sheets. Both online and print versions were produced.